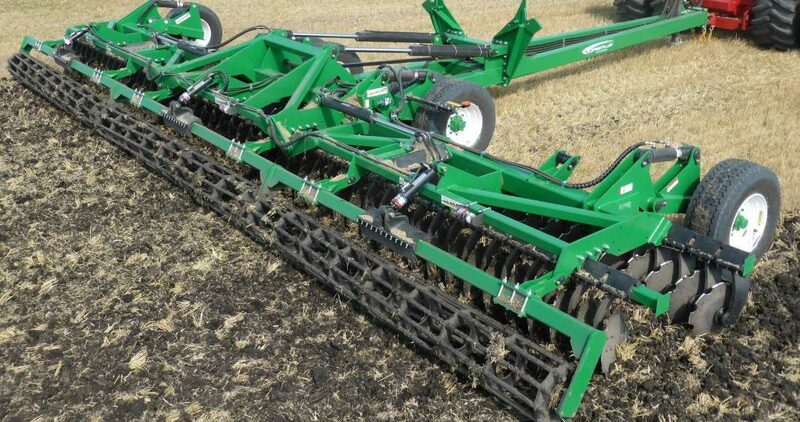 Launched at the Henty Field Days, compact Australian built, disc tillage machine, the K-Line Speedtiller Powerflex is already making inroads in international markets. This machine took out the Tractor & Machinery Assn. sponsored best new Australian designed & built agricultural machine at the Henty Field Days. The wheel placement on the Powerflex allows harrows to be used in place of rollers to suit a wider range of applications. The Powerflex features wider spacing between front & rear discs which allows for increased trash flow and reduces the plugging effect of wet sticky soil. Adjustable wing pressure is a unique feature to the K-Line Powerflex, which allows transfer of the weight of the centre of the machine to the wings to provide even digging pressure across the total width. KENWAY AND CLARK will soon demonstrate the K-Line Speedtiller Powerflex in the Goodiwindi area as well as east of Moree & west of Moree.